In December 2016, the chairmanship of the Khartoum Process (KP) was handed over to Ethiopia following that of the UK. As this was more or less a year after the Valletta summit, it accorded the Ethiopian Chairmanship the opportunity to focus on the implementation of the action plans and the 16 priority set out in the Valletta outcome. Given the foundations set by the achievements under the UK chairmanship,, our task was to consolidate what was initiated by our predecessors and fill in the gaps that were identified at the time of the handover. We then declared the year 2017, under the Ethiopian chairmanship, to be the ‘Year of Implementation’, with full participation of the Member States and our implementing partners. This newsletter, the first for the Khartoum Process is therefore dedicated to exactly this theme: implementation. Its goal: to provide the latest information on updates from the field and from those projects which fall under its auspices through its specific regional and thematic focus. Alongside these operational developments, the newsletter will detail, the progress the Khartoum Process made, progress as its role is Facilitate Dialogue between Africa and the EU on migration. Impetus was given with its significant contribution to the Senior Officials Meeting (SOM) meeting in St Julian, in Malta last February 2016; and now it is my humble view that we are well on track to realise our action plans for 2017. Our successful meeting at Senior Official level in Addis in April this year following St Julian’s, Malta gave us the chance to incorporate the outcomes of the SOM in our plan of action for the KP. This year had a successful thematic meeting in Berlin on international protection in May, where Ethiopia Co-chaired the meeting with its gracious host, Germany. Similarly, another successful thematic meeting was hosted and chaired by U.K. in London in July on human trafficking and smuggling with emphasis on border management. We are looking forward to our next meeting in Khartoum in October later this year, for yet another thematic meeting on root causes of migration, with focus on job creation and remittance. Several follow up activities have been undertaken by the chair and the secretariat, ICMPD in Vienna, particularly the execution of projects financed by EU Emergency Trust Fund (EUTF). Having outlined the main tasks that have been undertaken, the question still remains as to how much we have done in terms of curbing the irregular migration and the tragedy related to it. No doubt, we have enormous challenges ahead of us. Migration, refugees and IDPs remain significant challenges and now have caught the attention of the international community and humanity at large. The Khartoum process should aim to remain very active in the global migration and refugee compact. Ethiopia, strongly believes our effort should geared to addressing the push factors. Open the avenue for legal migration could possible discourage those who are determined to illegal route. Our collective effort and resolve in fighting the criminals involved in human trafficking and smuggling must be enhanced. Return and reintegration in the spirit of the Valletta outcome also needs to be taken seriously. In my capacity as the Chair of the KP, on behalf of my government, I would like to thank the EU, AU and all Member States of the KP for their close collaboration and support. I can assure all partners, Ethiopia will certainly remain a responsible and committed partner even far beyond its chairmanship, which we will be handing over to our successors: our Italian friends and colleagues. I would also take this opportunity to thank the ICMPD for its technical and logistical support provided to the Ethiopian Chairmanship. The European Commission’s financial support is also highly appreciated. With that, I hope you will, through this special edition of the newsletter, find out more about this year of implementation of the Khartoum Process, its activities and how we aim to move forward. 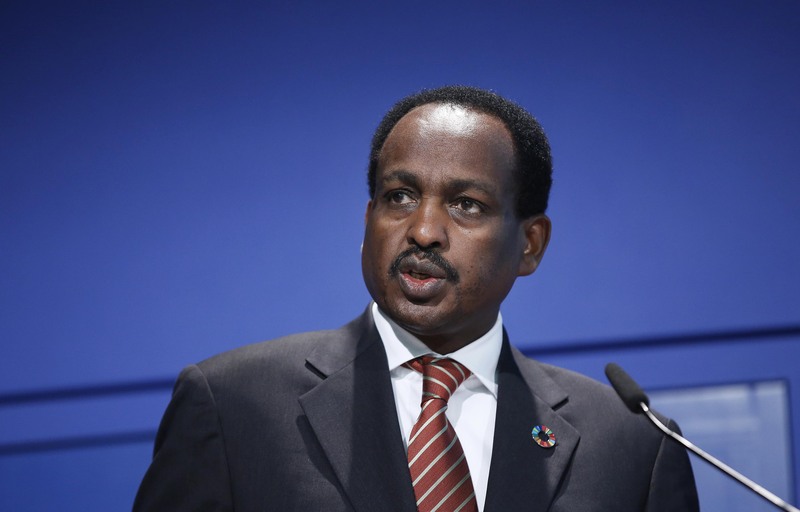 Chair of the Khartoum Process. As of July this year, we have a newly appointed a National Focal Point for the Republic of Uganda. This action follows an unanimous decision to invite the country to be a member at the Senior Officials Meeting in Addis Ababa on 6th April 2017. It was widely agreed that the Process would greatly benefit from the participation of Uganda, given that it is also at the forefront of the challenges posed by increasing migratory flows in the Eastern African region. This coupled with the fact that Uganda has experience in provision of long term solutions for the high numbers of refugees and migrants hosted on the territory of the country; Uganda will be an asset to the knowledge and expertise within the Process. As part of the Khartoum Process, Expertise France is implementing the first regional project, « Addressing Mixed Migration Flows in East Africa», to support the efforts of East African States to improve the management of migration flows through their territories. In the account below, Laurent GROSBOIS, Project director from Expertise France details its activities in the region over the course of this year. The SINCE project is based on the first objective of the EU Trust Fund to create greater economic and employment opportunities for migrants. It aims at contributing to reducing irregular migration from Northern and Central Ethiopia by improving the living conditions of vulnerable populations, including potential migrants and returnees with specific focus on youth and women. Some 9 million people in and around the Horn of Africa had to leave their homes; 7 million people are currently displaced within their own countries and a further 2 million are predominantly seeking refuge in neighbouring states. Additionally, people are leaving their homes in search of a better life. To address the needs of people on the move, the European Union and the Federal German Ministry for Economic Cooperation and Development established the programme Better Migration Management (BMM). European Emergency Trust Fund (EUTF) €20 million Support Programme to Refugee Settlements and Host Communities in Northern Uganda focussed on rebuilding lives for South Sudanese refugees. Find an overview of the projects under the EUTF for the Horn of Africa Window here. A Sudanese man preparing a piece of chewing tobacco on his hand. Muhammad Salah is a Sudanese photographer based in Khartoum. He began photographing in 2013, and has developed a critical focus on social, political, and cultural issues. Muhammad also uses the medium as a form of self-reflection to identify hidden qualities of his own character. 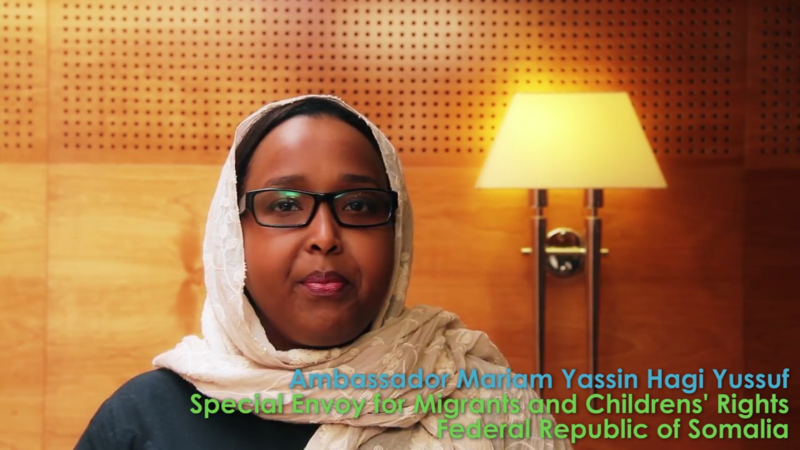 This issue's spotlight is on Ambassador Mariam Yassin Hagi Yusuf, Special Envoy for Migrants and Childrens' Rights of the Federal Republic of Somalia. Here, Ambassador Yusuf talks about the Khartoum Process and some of key priorities in tacking trafficking, smuggling and irregular migration for Somalia, in the context of some of the regional challenges in the Horn of Africa.